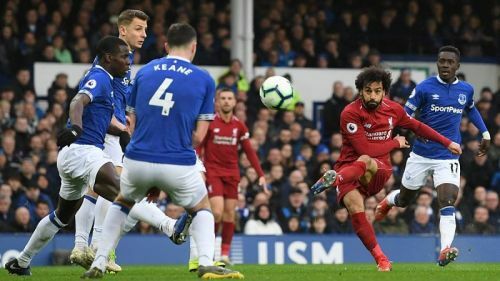 The latest edition of the Merseyside derby at Goodison Park ended in a 0-0 draw, and it hurt the title ambitions of Jurgen Klopp’s side. The Reds had to keep winning their matches to put pressure on the champs, Manchester City, but they yet again failed to do so and bottled another opportunity to go top of the Premier League table. The Merseyside outfit is now trailing the Citizens by a single point, with just a few games left to go. They were once again not up to the mark and couldn’t break down Marco Silva’s side. Both teams had quite a few good chances, but could not finish them off. The balls in the final-third lacked quality and things just did not work out for them. The Toffees were not as threatening as the visitors, but they too could have sealed it with a single goal. 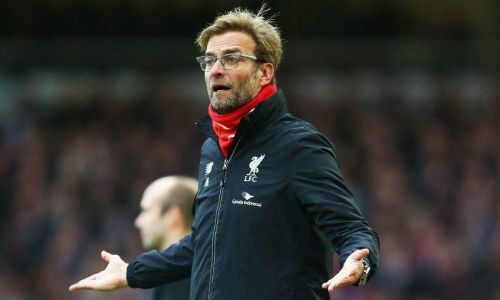 Nothing just clicked for the two teams, and Klopp blamed the “wind” yet again. However, here are three reasons why Liverpool actually failed to beat Everton. The link-up play of the visitors was not at the level that is generally expected from the German manager’s side. The attackers were kept rather quiet by the defensive players of the home side who went head-to-head against them and did a great job. Further, when the play was better in the final third, the finishing was really poor. Salah had an off-day yet again and he just could not do what he loves to do best. Mane and Origi weren’t at their very best either, and nothing seemed to click for the Reds. The end result of the game was that the visitors failed to capitalise on any of the moves they created, and there were no goals at all.